SFV-CAMFT - "Making the Invisible Visible: Therapy with Transgender Youth & Seniors"
"Making the Invisible Visible: Therapy with Transgender Youth & Seniors"
at various points in their lives. at opposite ends of the continuum, transgender and gender diverse children, along with older adults. Marie Keller, PhD, LMFT, is the Founder and Director of the Los Angeles Gender Center. She has specialized in gender identity and diversity for over 25 years. In 1992, Marie founded the Los Angeles Gender Center and created a team approach to working with gender diverse clients. 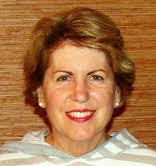 Susan P. Landon, MA, LMFT is the Director of the Child and Adolescent Program of the Los Angeles Gender Center. She provides a welcoming and supportive environment for children, adolescents, and their families to explore the many aspects of diverse gender expression and identity. Susan has a private practice in Santa Monica.